Pro Home Stager 2014, 2016, 2017 & 2018, 2019. 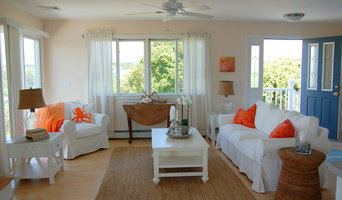 Expert Vacant Home Staging reflecting the Cape Cod Lifestyle. Present your home at its finest for a quick and successful sale! One Day Room Makeovers and decorating rental homes. Love your home again with some rearranging of what you already have and shopping for new accessories! Melissa Vidal Design will stage your home or an MLS listing and will also help bring your design creativity to life into your home. From color consultation to decluttering anything that you need Melissa Vidal Design will be there to be your Redesign solution. I decided to follow my passion in 2011 and started Heidi CAN! 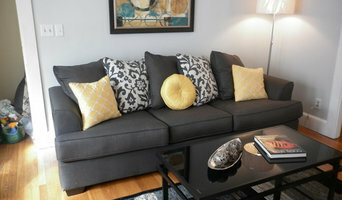 Home Staging & Redesign. We are a full service home staging company. New construction and vacant staging are our specialty. 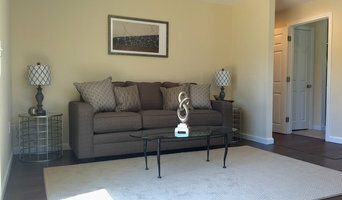 When are are staging an occupied home, we try to use what you already have. Repurposing and move things around. Then we can bring in what’s needed for a fresh look. It’s amazing what you can do to a home with current art & accessories while staying on a budget. We CAN do as little or as much as you would like. It is up to you. We can also help with decluttering & packing. We carry a large variety of furniture, art & accessories to enhance every style home. We do not have monthly minimum rental. We can help with space management & downsizing. Helping with furniture placement for your new home. We also offer staging to live. Let’s stage your new home. 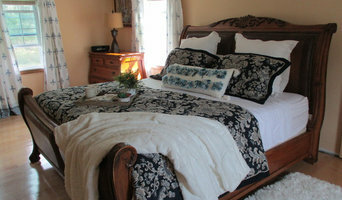 Home Staging for occupied or vacant homes for updated look and gorgeous photos for your website. Range of services include: "Walk and Talk" consultation, half-day or full-day staging. Arrange for furniture and accessory rentals. Interior redesign for one room, 3 room package or entire home. Offer spatial organization, decluttering, shopping service and event decorating/planning. Sagestone Design is a full service home staging company dedicated to organizing, neutralizing and beautifying your home to sell. The essence of Staging is to assist in the transition from Home to Marketable Product. What does a Quonochontaug home stager do? Home staging companies in Quonochontaug, RI employ a variety of different techniques to present the home in the best light possible. The first step will likely be to make sure the home is impeccably clean, including the exterior of the house. Next the home stager will work on removing the personal touches that are unique to the current owners. Paint colors might go from dramatic reds and purples to neutral tones like beige and taupe, in order to appeal to the masses. The home will likely be cleared of family photos, risqué artwork, collections and knickknacks, so potential buyers will be able to better envision their own life in the house. In some cases furniture will be swapped out, and you might not even recognize your own house. Some Quonochontaug home stagers tackle most of these tasks themselves, while others work with subcontractors and other professionals to get the job done. Here are some related professionals and vendors to complement the work of home stagers: Interior Designers & Decorators, Photographers, Real Estate Agents. The process of staging a home can be difficult for some homeowners, especially when being asked to change things you’ve poured your heart and soul into over the years; but try not to take anything personally, as the stager only has your best interest in mind and no intention of insulting your personal taste. Before you contact a professional home staging company in Quonochontaug, RI, make sure to consider a few things: Are you willing to change your home and take the advice of this professional to help sell your house? Do you think your house would greatly benefit from the help of a stager? How long are you comfortable having your home on the market? A staged home is likely to sell faster and, on occasion, at a higher asking price than a non-staged home. While there is no guarantee this will always be the case, it’s often true and can make the entire selling and moving process a lot less stressful in the long run. If you are selling through a real estate agent, it’s a good idea to get their opinion on whether staging your home would be beneficial to your specific situation. Find a certified Quonochontaug home stager on Houzz. 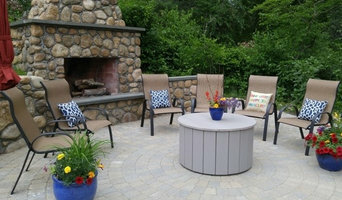 Narrow your search in the Professionals section of the website to Quonochontaug, RI home stagers. You can also look through Quonochontaug, RI photos by style to find a room you like, then contact the professional who staged it.